In terms of shopping, ads and commerce, Easter isn’t really a big deal. Unlike Christmas, Easter has remained relatively unscathed by Madison Ave. No one really makes a big deal out of Easter sales, and the only thing anyone really markets for the holiday is candy (but what holiday doesn’t market candy?). Thanks to this lack of commercial appeal, it’s remained somewhat sacrosanct as a religious holiday, but that doesn’t mean it’s not without benefits everyone can share, regardless of religion. Easter is often lauded as the true beginning of the spring fashion season, and because of this, many choose the day to show off their best new clothing. Perhaps that’s why Easter Sunday still has an air of propriety to it, one that demands a prim and proper wardrobe. Even young children, who usually get a free pass from the wardrobe scouts, are obliged to get into their Sunday best. Young boys in navy blue blazers and girls in frilly dresses crowd restaurants and dinner tables on Easter Sunday. It’s an old-fashioned approach to clothing that doesn’t often show up in day-to-day life, but once a year it’s certainly a welcome change. 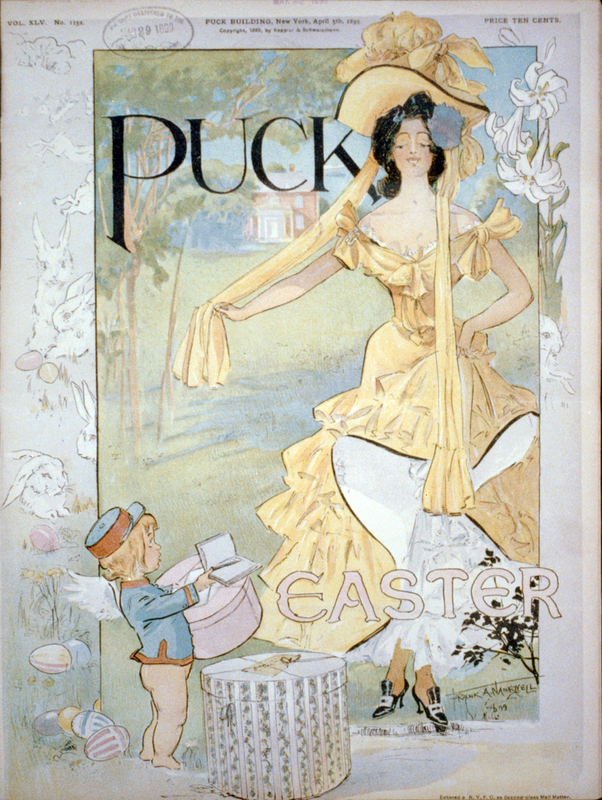 Anyway, even if you don’t celebrate Easter, there’s no reason to avoid the day’s secular role as a marker of the true beginning of spring fashion season. So get out your Sunday best this weekend, debut some new clothes and show the world what your new wardrobe can do this April. This entry was posted in Fashion, Wardrobe and tagged April, Easter, fashion, holiday, season, spring, wardrobe. Bookmark the permalink.